Over the course of nine novels, Tom Clancy's genius for big, compelling plots and his natural narrative gift (The New York Times Magazine) have mesmerized hundreds of millions of readers and established him as one of the preeminent storytellers of our time. Rainbow Six, however, goes beyond anything he has done before. At its heart is John Clark, the ex-Navy SEAL of Without Remorse and well-known from several of Clancy's novels as "the dark side of Jack Ryan," the man who conducts the secret operational missions Ryan can have no part of. Whether hunting warlords in Japan, druglords in Colombia, or nuclear terrorists in the United States, Clark is efficient and deadly, but even he has ghosts in his past, demons that must be exorcised. And nothing is more demonic than the peril he must face in Rainbow Six: a group of terrorists like none the world has ever encountered before, a band of men and women so extreme that their success could literally mean the end of life on this earth as we know it. It is Tom Clancy's most shocking story ever--and closer to reality than any government would care to admit. 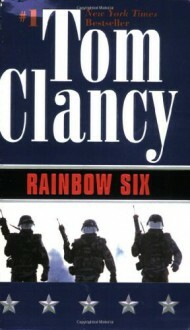 As Clancy takes us through the twists and turns of Rainbow Six, he blends the exceptional realism and authenticity that are his hallmarks with intricate plotting, knife-edge suspense, and a remarkable cast of characters. This is Clancy at his best--and there is none better. While the book was a little long and could have done with some sharper editing, the storyline was still powerful with strong character development. Great pace and depth. Overall one of his better books for sure.